USAID Bangladesh, Women and Girls Lead Global (WGLG), Department of Women and Gender Studies, Dhaka University and over 150 students from various social science departments within the university celebrated International Youth Day on August 12, 2015 in Dhaka, Bangladesh. Two short documentary films were shown from the Best School for Girls campaign and highlighted the positive practices among the campaign schools. Dr. Sayed Saikh Imtiaz, Chair & Associate Professor of Department of Women & Gender Studies and Ms. Christean Cole, USAID Bangladesh Program Office Deputy Director inaugurated the session. The first of the two films shown was Social Mapping, an exemplary initiative taken by students of Satkhira – a district in southwest Bangladesh – who identified “risk zones” within their community and created a map to ensure a more secure environment for girls. The second film shown was Tahmina’s Football Team, the first girl’s school football team in Naogoan of Northern Bangladesh and illustrates the obstacles these girls had to overcome in order to establish the team. 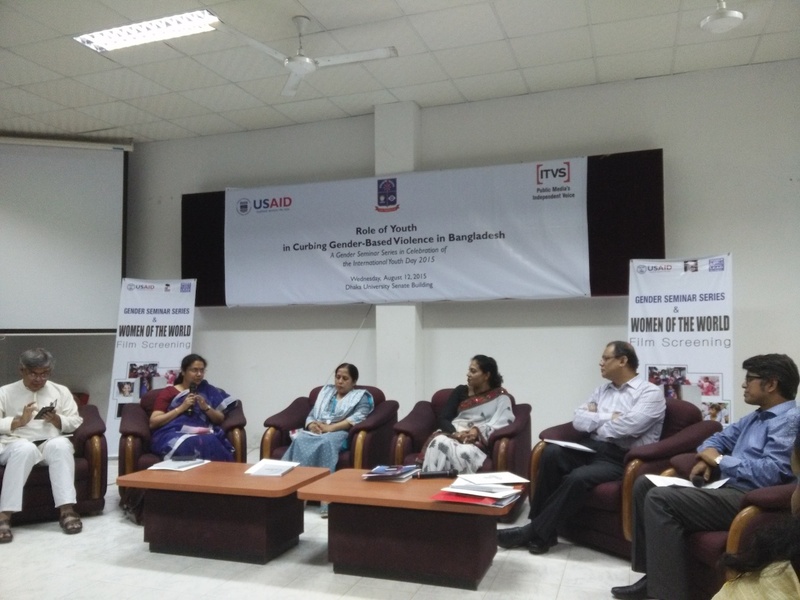 Following the screenings, a high-level panel discussion on “Role of Youth in Curbing Gender-Based Violence (GBV) in Bangladesh” was conducted. The panel session was moderated by Mr. Mahmud Hasan, Bangladesh Engagement Coordinator of Women and Girls Lead Global (WGLG) project of ITVS and Ms. Mahmuda Rahman Khan, Gender Adviser and Senior Program Development Specialist of USAID Bangladesh.